This cord is typically used to attach the flash to the camera. 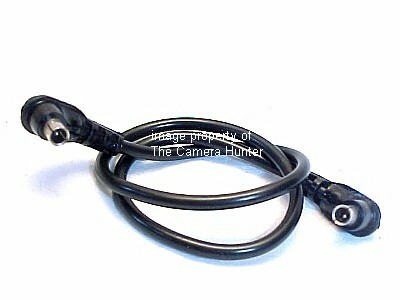 If you use a flash bracket or your cameras hotshoe is broken a sync cord is needed. Both ends are the same, male to male. The cord connects to your cameras "X" terminal and the other end to another cord or your flash unit. This is sure to provide the new owner with a lifetime of faithful service. 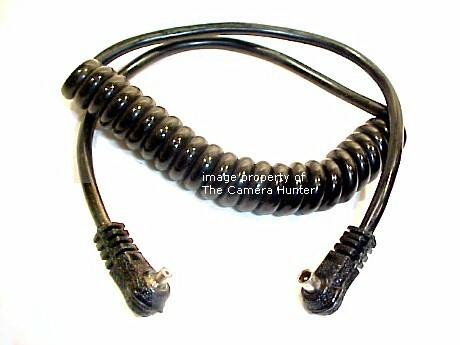 Here is a brand new PC-HH (house hold) 5 ft. coiled sync cord. It fits many cameras from the Graflex 4x5 camera lenses to the modern day Digital cameras. 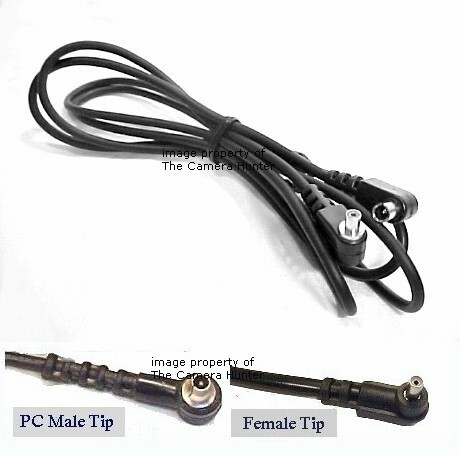 One end is a male PC plug and other a two prong "household" style plug, aka PC-HH (house hold) cord. Suitable for most studio flash power packs. Some of the ones I know of are Novatron, Norman, DynaLite, SpeedoTron, Calumet, Honeywell Strobonar, and Lumedyne. There are many other power packs that accept a standard household plug. The cord is 16 inches long in the relaxed position. It will stretch up to 5ft or so. This is a nice little goody when you need that not everyone sells. 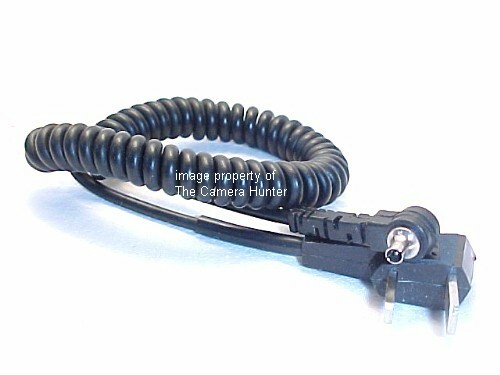 This cord is typically used to attach the flash to the camera. 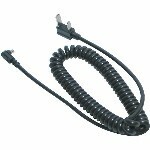 If you use a flash bracket or your cameras hotshoe is broken a sync cord is needed. The 40 inch length is just about right to hook your camera to strobe with an umbrella on a light stand. Sync cords come in many different types, sizes, and lengths. This is considered a standard size, fits most every camera ever made. The male end fits the camera, works for both vintage and modern cameras. One end connects to your cameras "X" terminal and the other end to another cord or your flash unit. This is sure to provide the new owner with a lifetime of faithful service.